24 grams of an easily dispersible, highly bioavailable Tri-Pro protein matrix. Natural Whey Complex contains the same high quality protein as our Power Whey Complex but it is formulated without the use of any artificial flavours or sweeteners. Natural Whey Complex was developed to cater to those who are looking for the highest quality natural whey protein available. 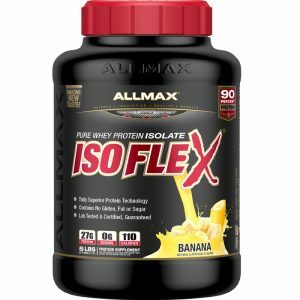 Natural Whey Complex, with its distinctive three-tiered enzyme fortified protein blend, helps nourish your body and feed your muscles with a concentrated dose of nitrogen-rich protein. Plus, Natural Whey Complex undergoes a unique instantization process so you can enjoy a smooth and delicious lump free shake. At a lactose level of under 5% (less than 2 grams per serving), Natural Whey Complex is easily tolerated by most individuals. Natural Whey Complex contains only 100% pure whey protein and the best all natural flavouring components around to deliver the best-tasting whey protein supplement you will ever try! Ingredients: Power Pro™ (Our unique protein blend consisting of: cross flow microfiltered and ultrafiltered whey protein concentrate, cross flow microfiltered, ultrafiltered and diafiltered whey protein isolate, partially enzymatically hydrolyzed whey protein), Dutch cocoa powder, natural flavour, Powerzyme™ (Proprietary protein and carbohydrate digestive enzyme complex consisting of: Aminogen, bromelain and lactase), salt, stevia. 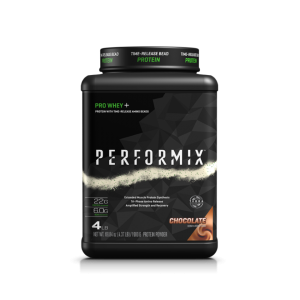 Precise blend of performance proteins to elevate muscle protein synthesis for an extended period.